A new way of thinking about PRIVACY from a social network! Jawger, a family-friendly, privacy-first social network, gives you the freedom to share life experiences while expressing yourself more personally with family & friends. Jawger puts every member's privacy front-and-center -- Jawger does not track, advertise, nor share your personal information -- you are in control. STORIES. Media-rich story editing & privacy sharing features promote authentic communication. 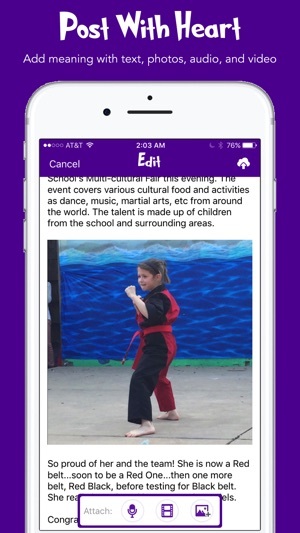 Post text with inline photos, videos & audio messages to give depth and personality to all your communications. Capture stories as they occur, save drafts until they are ready to share, or improve them later on a computer. JOININs. Participate together to crowd-source experiences into living collections as they occur. Ideal for a theme or event to collaboratively collect experiences & perspectives from everyone invited. Or, schedule a JoinIN for a special someone to publish at a future date to deliver a heartfelt gift from friends & family. JoinIN conversations never end...stories are posted before, during & after...keeping communication alive. Even those far away get to participate, gaining a true sense of inclusion & completeness. PEOPLE. Social networks keep us updated with those who are important in our lives, family & friends. But, we don't interact & share everything with everyone. Each relationship is unique & special...and deserves to be treated with importance. Connect with anyone (family, friends, neighbors, colleagues, etc) while easily sharing only stories & personal details relevant to each. FAMILY. Include your children! Children are increasingly exposed to technology from an early age. Most social networks are not safe nor appropriate for our children. Jawger's family accounts offer parental controls that put you in control to manage your child's online identity, safety, privacy & interactions. Introduce children to social media in a safe environment while capturing their experiences through their own eyes. PRIVATE. No longer sacrifice your privacy to communicate on social networks. That's why we built Jawger. Stories & personal information are yours and yours alone; you decide with whom to share. End-to-end encryption is used to keep your information protected. GENUINE. Your life experiences & relationships with others are the celebration in Jawger. Enjoy the freedom to express yourself, being more personal, without sharing to your entire network. In an instant world where writing a letter has become a relic of the past, give yourself permission to let people know they matter. SOCIAL. Every relationship is NOT equal. That's why we invented social profiles. 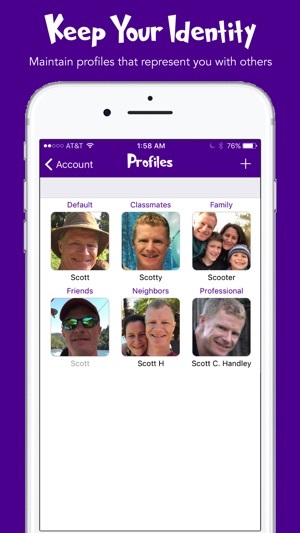 Profiles help you express yourself more naturally like the way you do in-person. 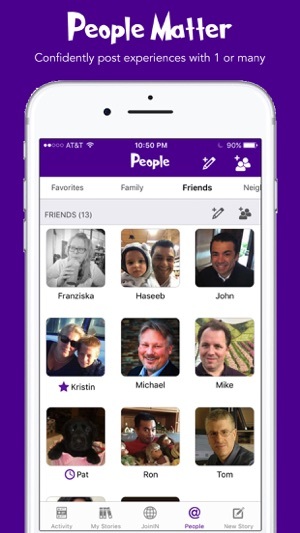 Setup profiles for family, friends, neighbors, colleagues, etc. to project an appropriate image of your choosing. The privacy revolution is just beginning...Join Us! 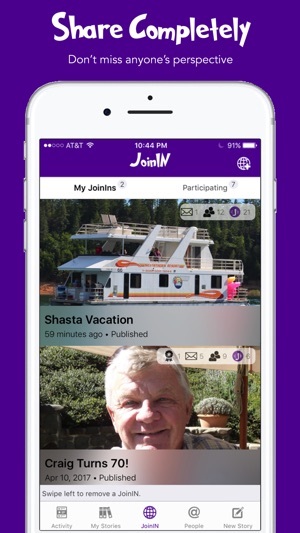 •INDIVIDUAL PLAN: $4.99/month or $39.99/year (33% savings)- 10GB storage, 1 Subscriber Account, unlimited Invitations to Connect, unlimited Stories and JoinINs, & multiple profiles with Privacy Controls. 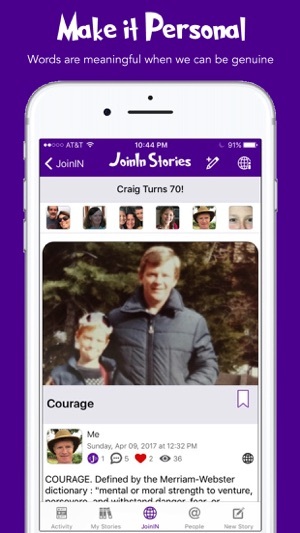 •FAMILY PLAN: $7.49/month or $59.99/year (33% savings)- 15GB shared storage, 1 Master Subscriber Account, unlimited Invitations to Connect, unlimited Stories and JoinINs, multiple profiles with Privacy Controls, & add up to 4 other Accounts: link Guest Accounts & create Custodial Accounts with Parental Controls. Subscription auto-renews or initiates at end of trial period & your credit card will be charged at the rate of your selected plan at least 24 hours before the end of the subscription period or trial period unless auto-renew is turned off in your iTunes Account Settings. OFFICIAL LAUNCH RELEASE! Jawger, a privacy-first social network, offers families with children of any age to learn and experience in sharing the joys of social networking all while under the safety of parental supervision. Friends enjoy the freedom to express themselves, being more personal, without sharing to their entire network. Jawger's commitment to privacy and unique approach to connecting with other allows you to express yourself more naturally like the way you do in-person. Jawger puts every member's privacy front-and-center. Jawger does not sell nor share member's personal information nor user content with any other party. The only news is your news! Jawger is the best app around for privacy!!! They don't sell your information, unlike Facebook and Google! I would rate 10/5 if possible!